The legal service offered by any lawyer, attorney, advocate, solicitor, barrister, and legal advisor in Cairo, Egypt – Abu Dhabi, Dubai. UAE will subject to rules. 2) Using Drafts, Specimen etc. The Law Firm may add a reasonable amount of time for using such specimen. Based on the assumption, that the preparation of one full page of a draft contract generally requires not less than one hour work for a lawyer, the number of hours actually spent and the number of hours added for starting with a specimen may not exceed the total number of pages of the first draft presented to the Client, excluding time spent for negotiations with the Parties. Fees for special consultations, which due to their nature may require a special fee-agreement, such as registration of trademarks or patents or defense in criminal cases, shall be provided on request. Petty Cash (e.g. copies, stationary, postage fees, etc.) shall be calculated as per customary firm rates. 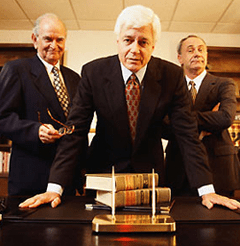 As minimum the Law Firm is charging a lump sum amount of Dhs 100,– per month. In case the Law Firm increases or decreases its fees generally for all clients, such increase or decrease shall be given with a one-month notice and shall become effective to the end of that month. The legal services and all expenses related thereto will be charged at the end of each calender year based on time slips of the respective lawyer(s) and on vouchers approved by the Lawyer(s) in charge. The monthly Statements of Account are prepared on computer basis and will be sent to the address given by the Client. In consideration of the mutual trust, which is paramount for the relation between the Law Firm and its Clients, the Client accepts the calculation of the Law Firm as true and correct, unless obvious mistakes are evident. Details of calculation including but not limited to the charges as set forth herein will be given on special request free of charge which, however, does not entitle the Client to postpone payment. Time used for extended reports shall be considered as part of the legal services. The Law Firm may at its sole discretion request a deposit equal to the estimated average or expected legal work for up to two months. Notwithstanding the deposit and without prejudicing any further right(s), the Law Firm may stop providing legal consultation if any payment is delayed by more than nine weeks starting from the date of a Statement of Account. The Client is free to terminate in writing at any time, which shall become effective upon receipt by the Law Firm.